IT’S TACO TUESDAY AT LANDSHARK’S! 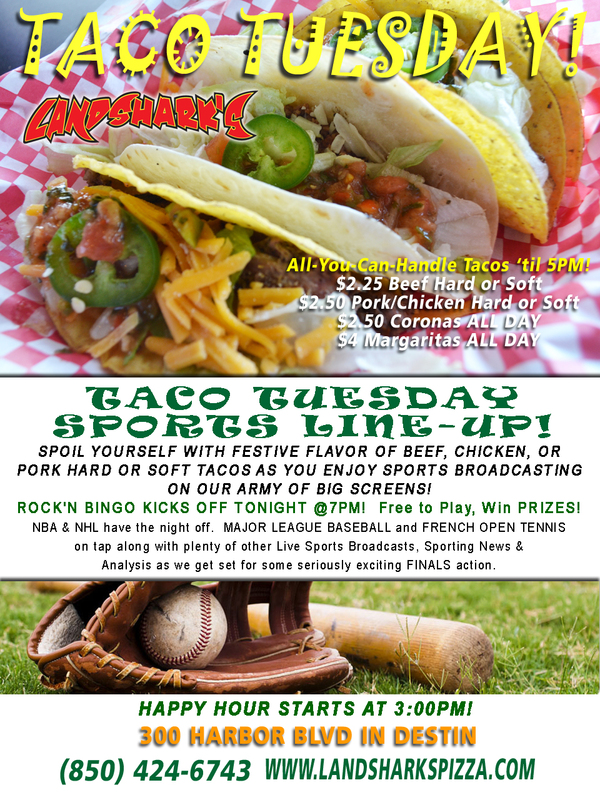 TACOS, CORONAS, & MARGARITAS – HARD AND SOFT CUSTOM-BUILT YOUR WAY, GET FULL FOR LESS! Tacos ’til 5PM – $2.50 Coronas & $4 House Margaritas ALL DAY! ROCK’N BINGO KICKS OFF AT 7PM THIS EVENING – FREE TO PLAY, WIN PRIZES, BE THE ENVY OF ALL YOUR NEIGHBORS! SPORTS ON BIG SCREEN! 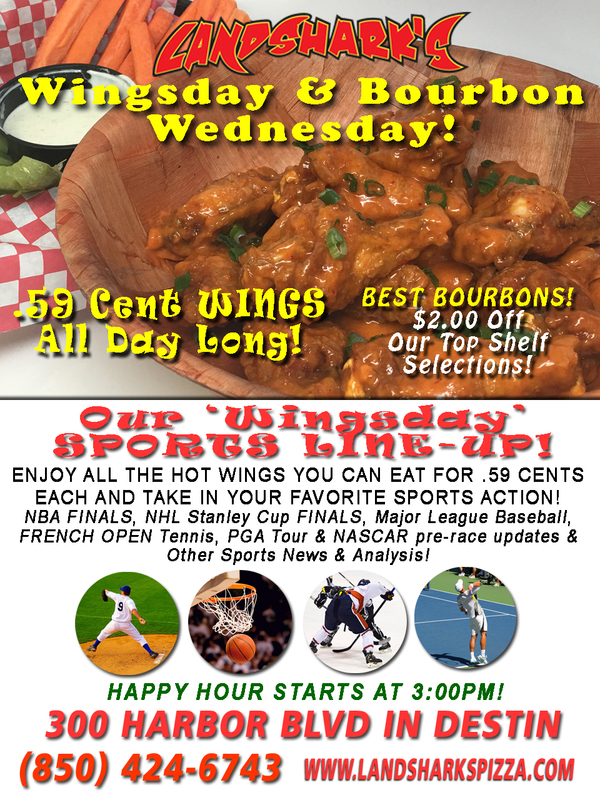 After Steph Curry & the Golden State Warriors’ stunning 7th-Game series win last night, the NBA Playoffs take a night off (NHL Stanley Cup, too) but MAJOR LEAGUE BASEBALL and FRENCH OPEN TENNIS are on tap along with plenty of other Event Broadcasts, Sporting News, Analysis, and Commentary! Check out our FULL ONLINE MENU by simply using your Mobile Phone when you go to www.landsharkspizza.com or on Facebook using the ‘Menu App’ on the left hand side under Apps. 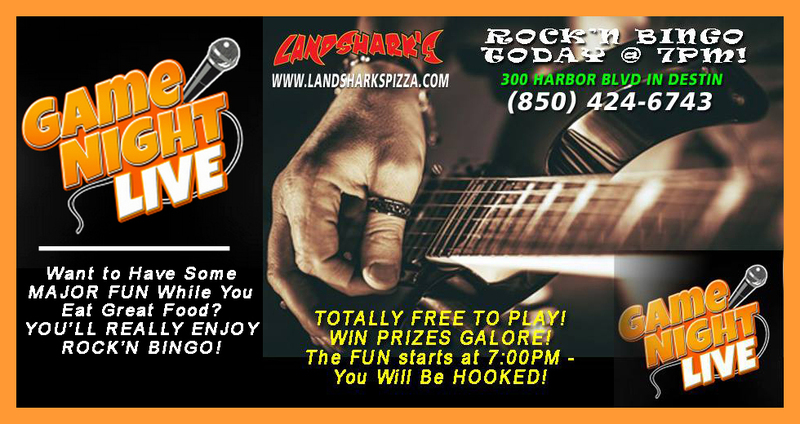 LIVE MUSIC COMING THURSDAY – The Landshark’s Team is excited to bring you great live music THURSDAYS with B.T. TURNER MUSIC & MAYHEM! Previous Post: « BURGER & CRAFT BEER MONDAY! 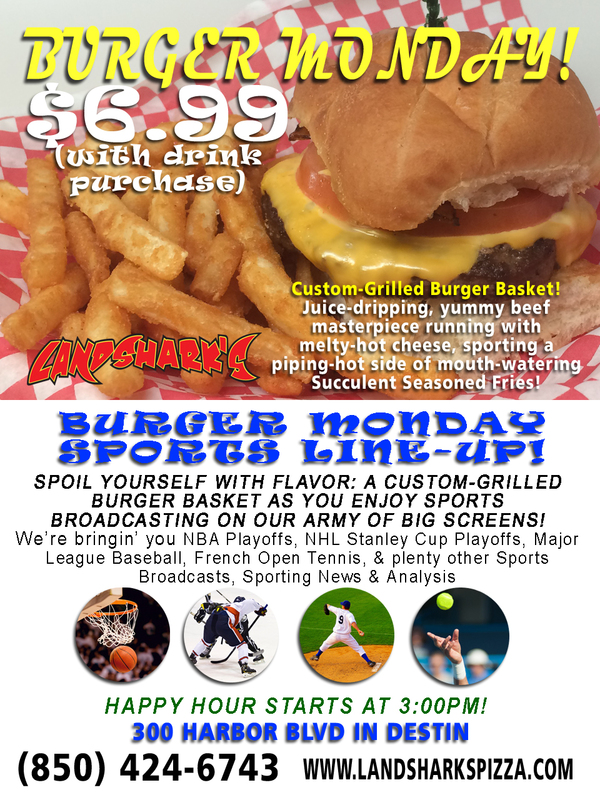 $6.99 Grilled Burger Basket & Succulent Seasoned Fries CRAFT BEER TASTING!